Smartscape is super happy to announce the expansion of the company with our new lighting division known as Connected Lighting Systems. As a full Philips Value Added Partner, offering Philips Dynalite, Philips Color Kinetics and now the full Philips Lighting range, Connected Lighting Systems will be focusing on all lighting solutions from architectural specialty lighting applications right through to full office lighting solutions. 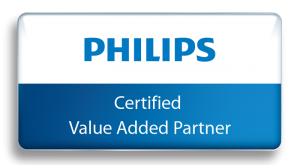 Philips Lighting is the largest lighting company in the world and is known as the leader in quality and innovation and have some incredibly smart lighting solutions ready to hit the market. No more questioning if the lighting will be compatible with the control system, no more issues with different suppliers of the lighting and controls, simple no fuss complete solutions for your building projects from a supplier that has been in business in Brisbane for over 16 years! All technical data will be up on our site in the near future as well as soft and hard versions of the catalogue, but until then for any detailed information please contact us.